Egypt is another country that I found to have several really nice tracks, when I was in the middle of the African track series, and I had planned to go back and post some of the others there. That’s the plan for the next few facilities. 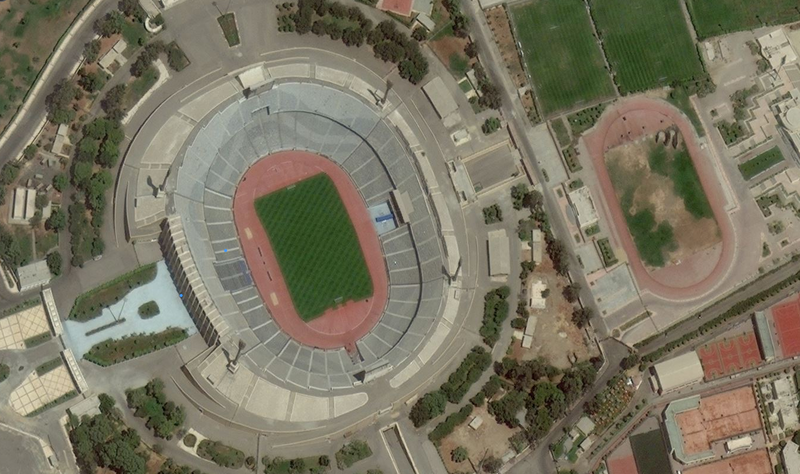 I have previously posted the largest stadium in Egypt, Borg el Arab Stadium. 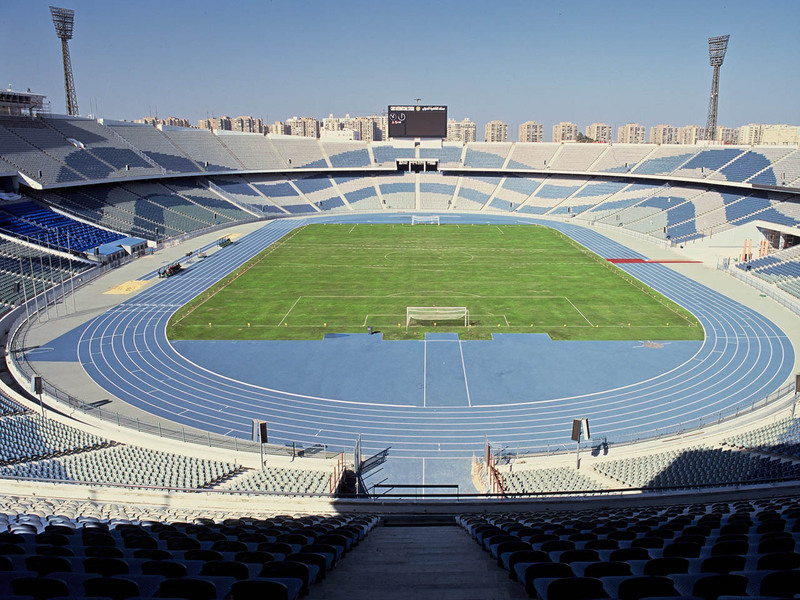 Today, it’s the second largest with Cairo International Stadium and the track found inside. This stadium took five years to build, and opened in 1960. It has seating for 75,000 people. The most recent renovation is listed as occurring in 2004, but a new awesome-looking blue track was installed after that, in 2008. Not only is the color fantastic, but it also matches the color scheme of the stadium better I really love how this whole facility looks!